For those looking to switch to natural skin care and bath products, the collection of Burst Of Happyness is something to start off with. Their products only use ingredients such as essentials oils, raw butter, and herbs. We chanced upon Burst Of Happyness (BOH) that does over 40 kinds of skin-loving goodies including good old scrubs, lip balms and body butter. The brand takes a completely natural approach to their making products, be it soap or masks. They only use essential oils such as olive, jojoba, coconut, and castor and butter such as shea, along with a combination of herbs, botanicals, and clays. They are free of parabens, artificial colours and fragrance. With the extensive collection, it’s easy for anyone to switch to a completely natural skincare regime. Besides from being just about natural care, the brand is also very much eco-friendly with packaging all made from recycled cartons and materials. Plus, they smell amazing! It’s the soap and shampoo bars that we want to get ourselves. The soaps are made using the cold press process and there’s plenty for each skin type. 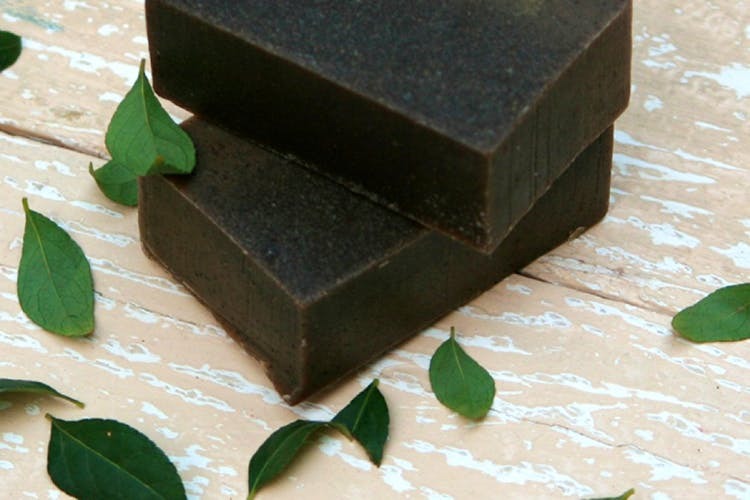 For those of you with dry skin, check out Woe Be Gone, a soap bar that comes loaded with kokum butter, cocoa butter, and olive oil. The True Desi is for anyone with an oily skin as the neem-turmeric-gram flour combo will cleanse out any and every dirt. They also have a Multani Mitti soap. But forget all that in favour of the Moroccan the Moroccan Argan Black Soap paste that will make you feel like you’re in a Middle Eastern hammam. If you are wondering what shampoo bars are, they are basically two-in-one bars that can be used for your body as well as hair. These make use of oils such as coconut and olive, and are available for all hair types. You can even get natural deodorants in fragrances such as cedarwood, bergamot, lavender and grapefruit. Apart from these, you can shop for facial cleansers and serums, and moisturisers too. They deliver pan-India as well.